Quick overview Keep your CPU cool and running smoothly by using the Intel BXRTS2011AC Sandy Bridge-E Air Cooler. 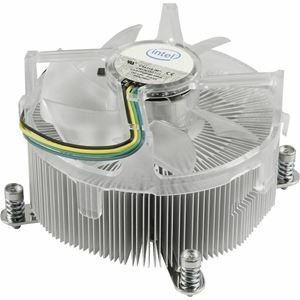 This low-cost CPU cooling device is compatible with the latest Intel Sandy Bridge-E processors with an LGA 2011 socket and provides a steady flow of air for a much effective cooling performance. Face heavy computing with confidence with the Intel BXRTS2011AC Sandy Bridge-E Air Cooler. Order one today!